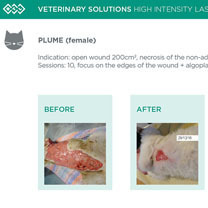 Our pets are vulnerable to a variety of threats and can suffer from injuries and pain like humans. 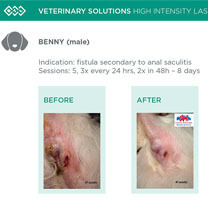 However identifying indicators of pain and treating animals is much more complicated because they cannot report their sensations in the same manner as human patients. 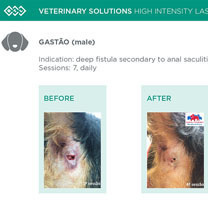 As a company full of animal lovers we wanted to contribute to animal care and have begun cooperating with veterinarians. 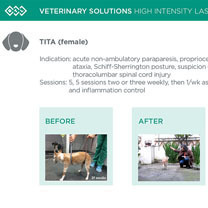 Did you know that some units in the BTL portfolio such as the BTL High Intensity Laser, BTL Shockwave therapy and BTL TR-therapy can all be used to treat animal patients? 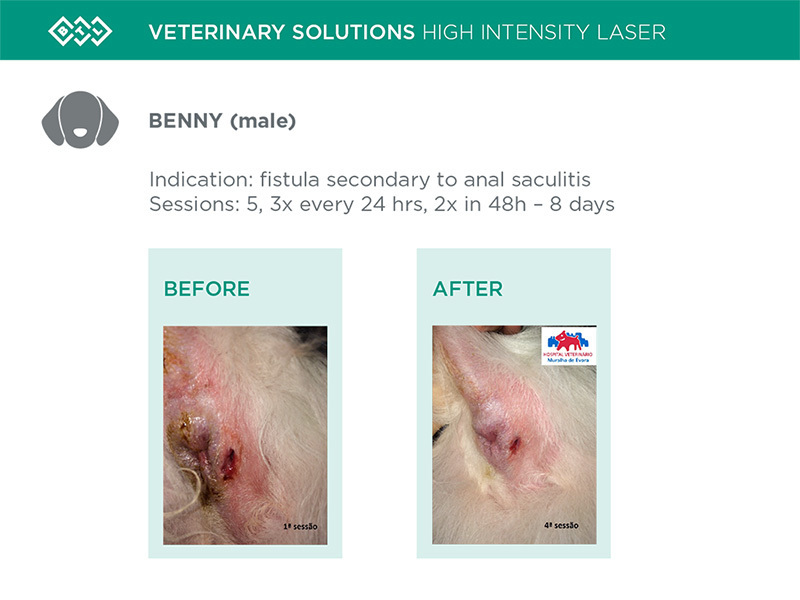 Find out more about how the BTL High Intensity Laser brings benefit to veterinary medicine! 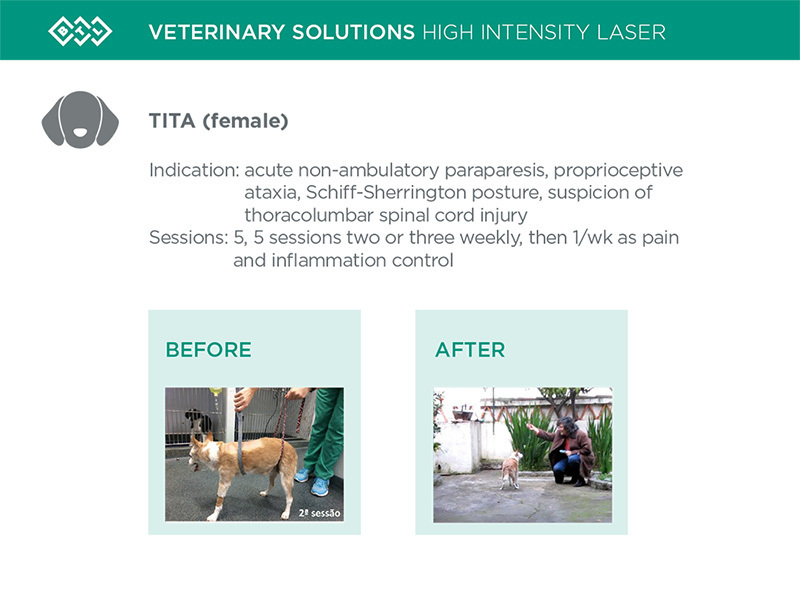 How does BTL High Intensity Laser heal animal patients? The therapy speeds up the recovery process, relieves pain and stimulates regeneration. 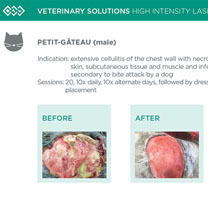 Look at all medical effects of BTL High Intensity Laser here. 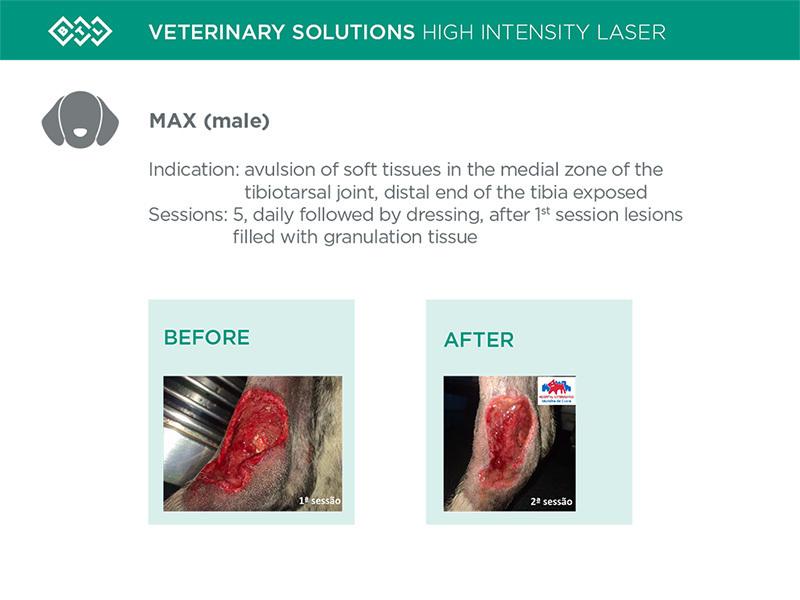 • Using laser light wavelengths close to 1000 nm in extremely short pulsed mode gives BTL High Intensity Laser technology completely new therapeutic feature – ability to create mechanical wave in the tissue. The mechanical stimulation of free nerve endings blocks pain pathways in the nervous system and brings immediate pain relief. • Biostimulation means ability to “bio-stimulate” tissue growth and repair at cellular level. 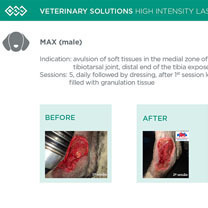 810/980 nm and 1064 nm wavelengths are specific for their high action on biological chromophores, allowing maximum therapeutic effect without irradiating unwanted areas. 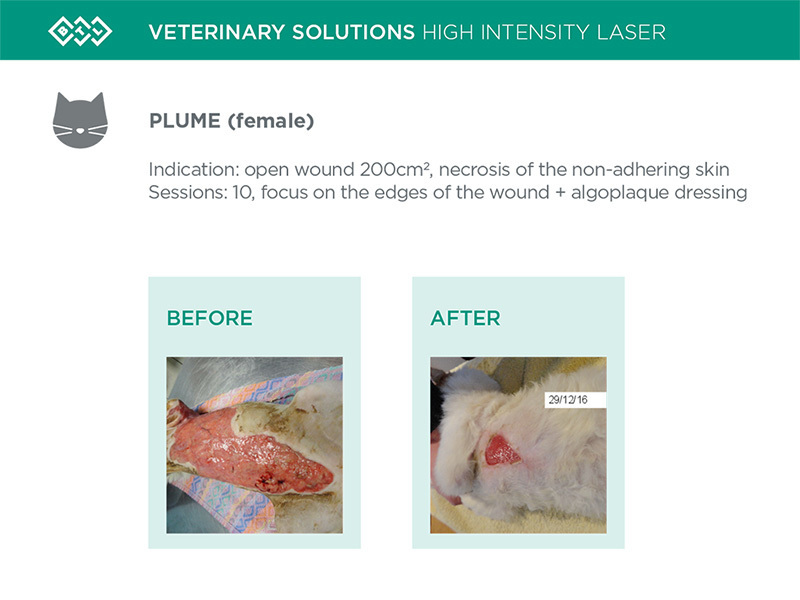 • The thermic effect is caused by the absorption of the 1064 nm laser beam in the tissue which consequently causes a temperature increase. As a result, blood perfusion increases, larger amounts of oxygen are delivered to the tissue and more metabolites are resorbed. Does your best friend suffer from any of these indications? 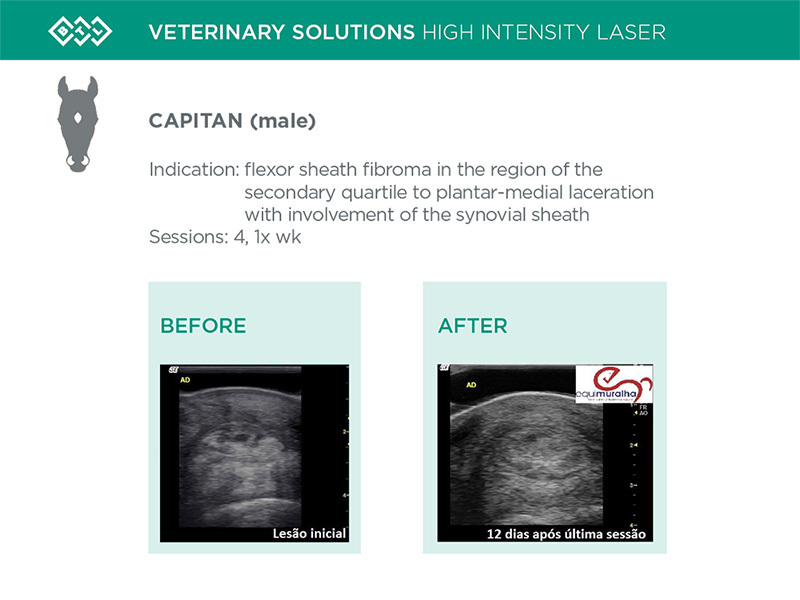 The therapy is painless and non-invasive, without any side effects. 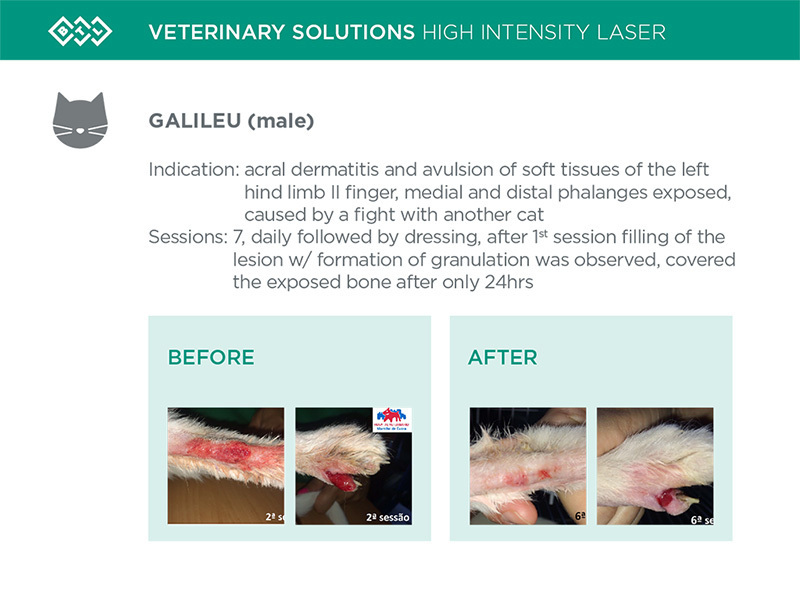 The BTL High Intensity Laser treatment can offer only benefits to your best four-legged friends. 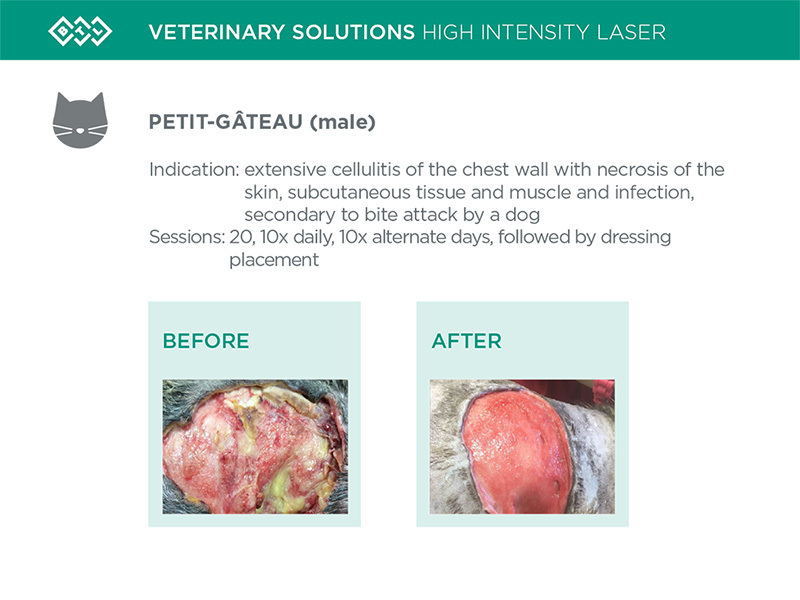 BTL High Intensity Laser promises shorter reparative phase and many other great results! 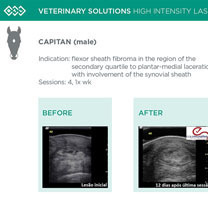 Only doctors can recognize the indicators of pain and what animals need. 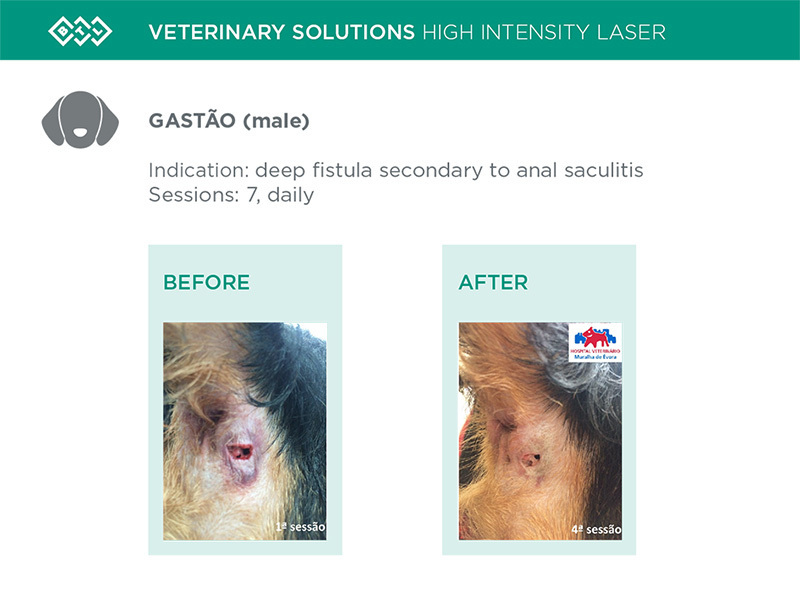 Thank you doctors Pedro Dunões and Filipa Cabecinhas from Hospital Veterinário Muralha de Évora for sharing stories of your patients with us and for choosing BTL technologies to provide the best possible treatment for your patients. 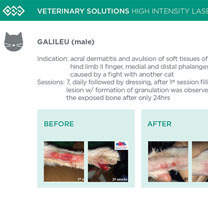 Take a look at the gallery how the wounds of many pets were successfully healed!